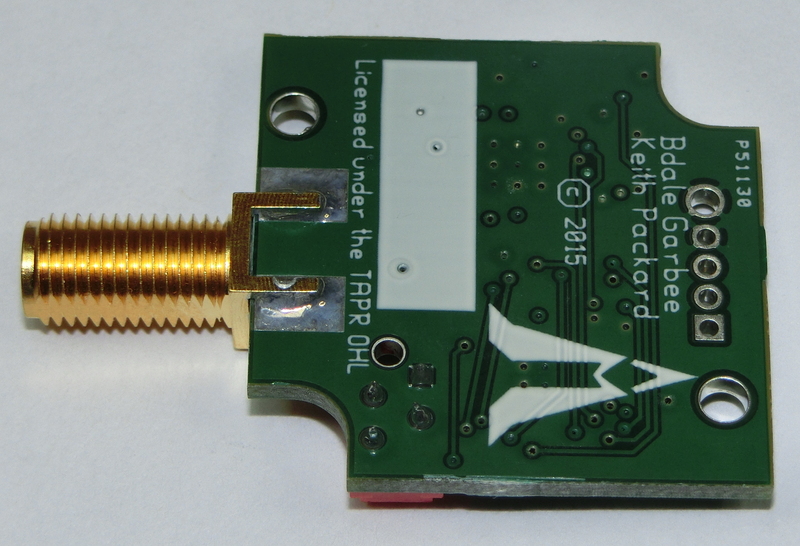 This is an RF interface designed primarily for use as a ground station interacting with Altus Metrum flight computers and trackers on board high power model rockets. The computer interface is USB. RF filter components are by default set for use in the vicinity of 435 Mhz, but can be altered to support other frequency ranges. 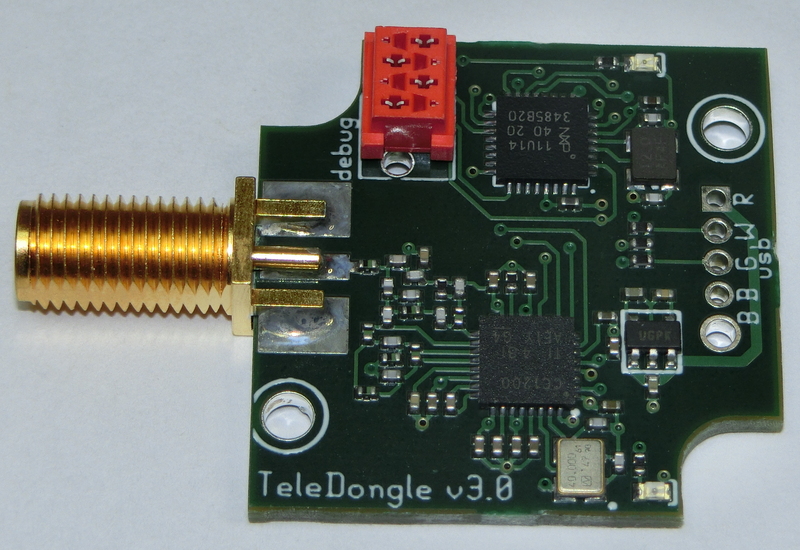 TeleDongle is now at version v3.0, with 5+ dB better receiver sensitivity than our previous models! For the latest TeleDongle firmware and related software, please visit the AltOS page on this site. There is a single manual for most Altus Metrum products, which is available in html and pdf formats. The hardware design current gEDA files are available from git.gag.com in the project hw/teledongle. For those who don't have ready access to the gEDA suite, here are pdf snapshots of files in more easily readable form. None! We're very happy with the TeleDongle v3.0 design.